David’s wife is dead. At least, he thinks she’s dead. But he can’t figure out what killed her or why she had to die, and his efforts to sort out what’s happened have been interrupted by his discovery of a series of elaborate and escalating threats hidden in strange places around his home—one buried in the sugar bag, another carved into the side of his television. These disturbing threats may be the best clues to his wife’s death: CURL UP ON MY LAP. LET ME BRUSH YOUR HAIR WITH MY FINGERS. I AM SINGING YOU A LULLABY. I AM TESTING FOR STRUCTURAL WEAKNESS IN YOUR SKULL. Detective Chico is also on the case, and is intent on asking David questions he doesn’t know the answers to and introducing him to people who don’t appear to have David’s or his wife’s best interests in mind. With no one to trust, David is forced to rely on his own memories and faculties—but they too are proving unreliable. 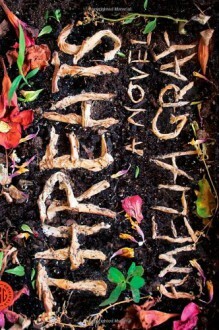 In THREATS, Amelia Gray builds a world that is bizarre yet familiar, violent yet tender. It is an electrifying story of love and loss that grabs you on the first page and never loosens its grip.